It’s the few months leading up to one of the biggest days of your life- your wedding day. Part of that is your first dance with your new husband/wife. The song you choose for this moment will be one that will forever be remembered as “your song” that you and your spouse first danced to. 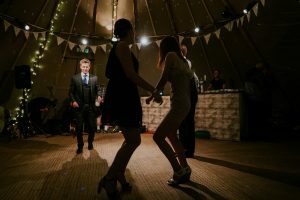 When choosing your first dance style and song, it is important to consider the style you want. It is also important to consider what takes priority for you- the music itself or the style of dance. Once you decide on one of these elements, the rest will follow. If your first dance song is a slow ballad, your style of dance will follow suit. If you choose a more modern, upbeat song, your dance will have to match. Whatever you end up deciding on, check with your partner to make sure it’s something they’re comfortable with too. Nothing’s worse than dancing with someone who looks and feels uncomfortable! Whatever song you do choose, make sure that you practice dancing to it beforehand. It’s never a bad idea to consult a professional or attend a dance class to get a better feel of how to dance correctly. Not to mention, the one-on-one time you get to spend with your future spouse serves as a romantic preview of the final day. Practice makes perfect, and if you plan accordingly your first wedding dance will be too!